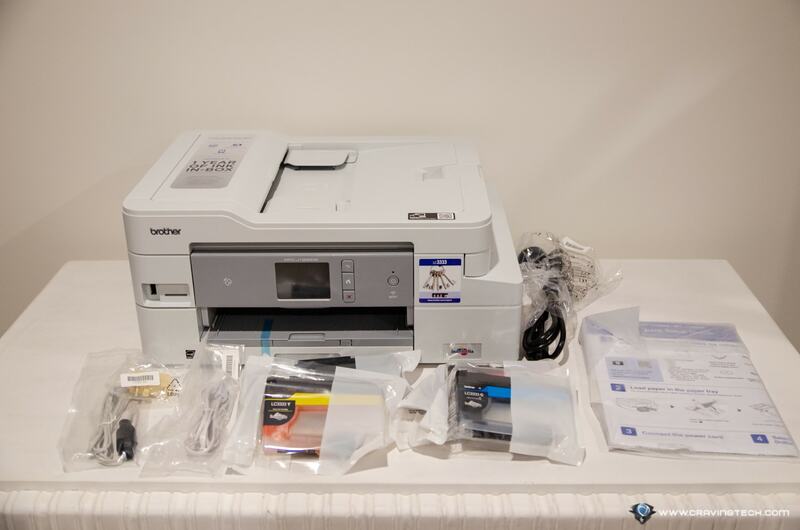 Brother MFC-J1300DW MFC Printer review – Nothing is more frustrating than buying a new printer and realising that only a small amount of inks included within, or that you have to start buying new refill cartridges in a few months. Because, more often than not, you’ll most likely be spending a lot more on inks than the printer itself. 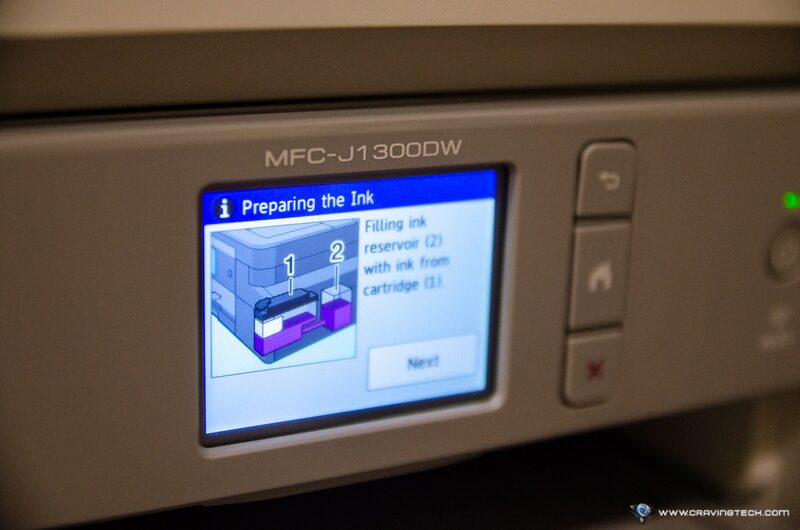 The Brother MFC-J1300DW MFC Printer, thankfully, includes a year of inks (both Black and Colour) on the get-go so you do not need to waste more time and money. For home and small businesses, it’s something that will make you smile after you finish setting the printer up. 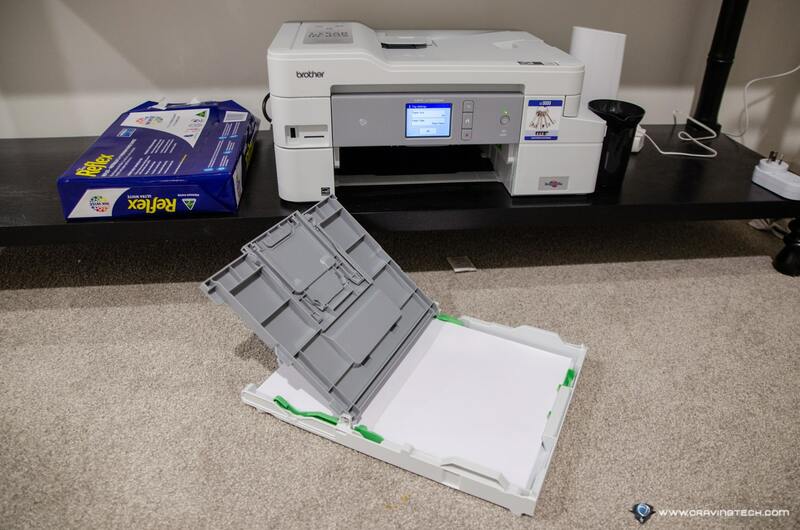 Setting the printer was relatively easy and straightforward, thanks to the included quick guide and a handy LCD screen, giving you a simple step-by-step process. Apart from plugging the ink cartridges in and entering my home Wi-Fi password, I’m all set. There were 5-10 minutes wait for the printer to initialise itself with the inks, but this process was only needed once. 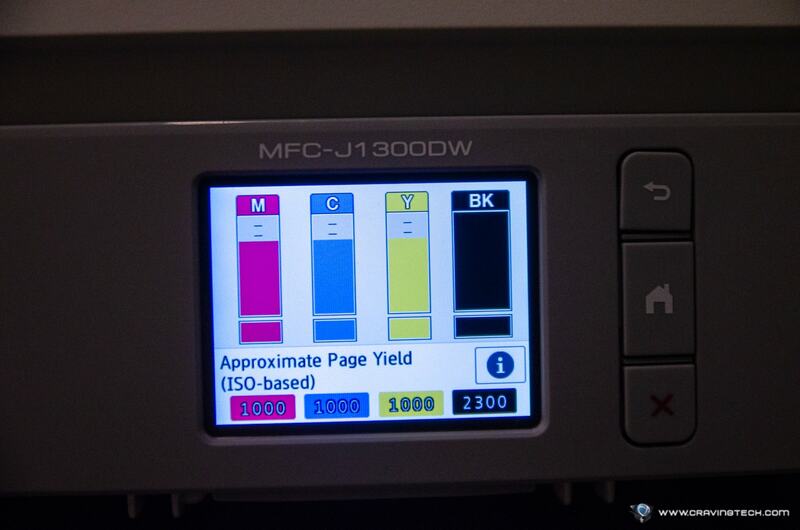 The MFC-J1300DW is quite a compact printer, but supports duplex printing (i.e printing on both sides of the paper). 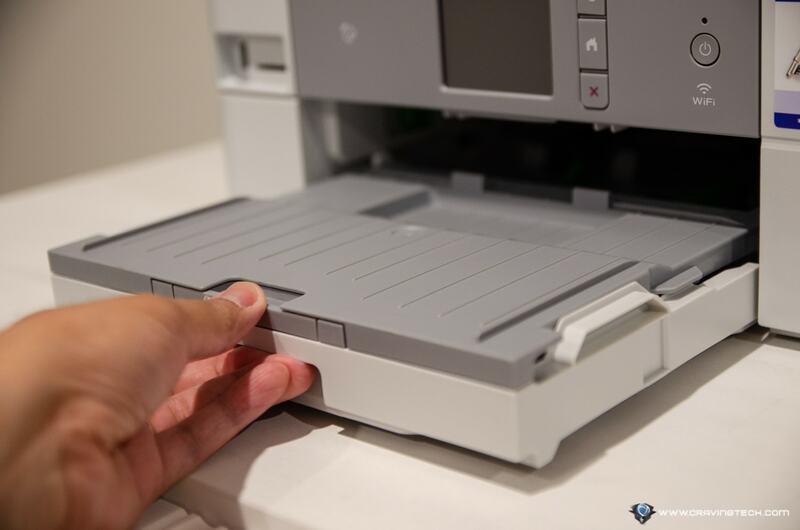 It’s also an MFC (Multi-Function Centers) printer – which means it can scan, copy, and fax. I don’t know how many people are still using fax but I’m happy to see that I can scan documents and directly email or upload them to my Google Drive and Evernote. 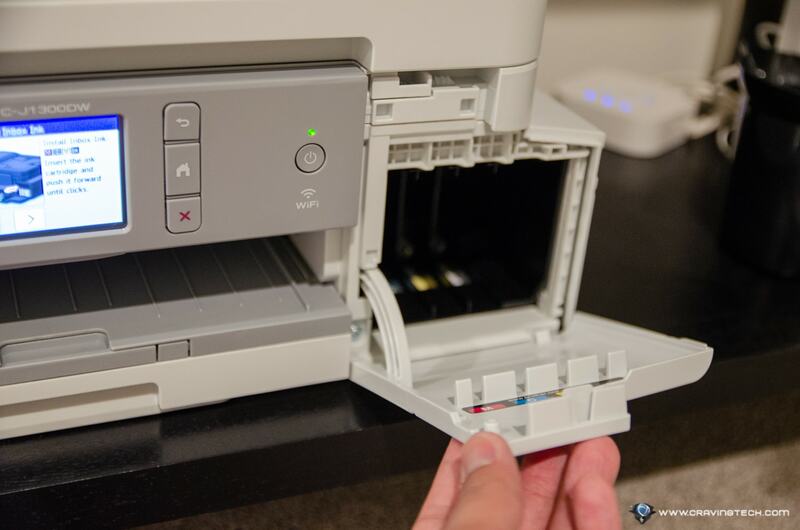 Or for quicker, local scans, just plug a USB flash drive (or memory card) into the printer. 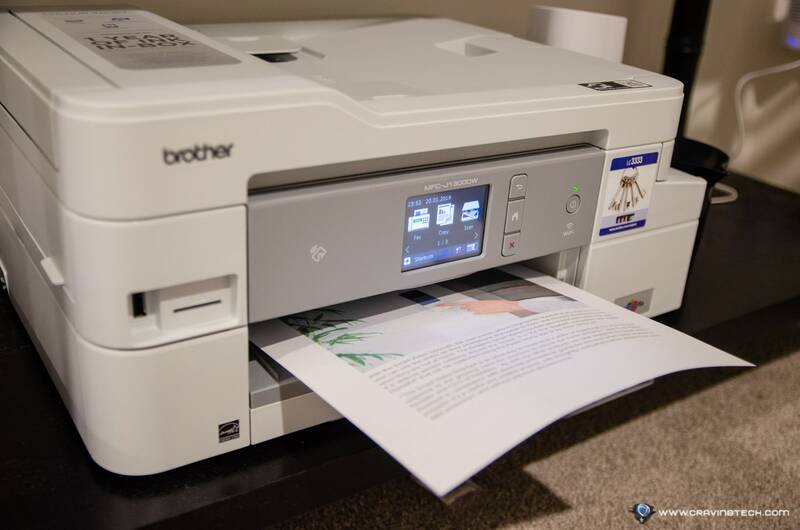 Brother MFC-J1300DW supports multi-pages scanning to PDF (with searchable texts) and images – which was my first test after setting the printer up. I could easily scan multi-pages document to PDF with 300 dpi (I could change it to 600 dpi but I found 300 dpi already gave me good quality) and sent the PDF file to my email address. You can store multiple email addresses and even protect the function with a PIN code. There are options to upload these documents to many other document services online (like Evernote, Google Drive, etc) or even to an FTP or SharePoint for collaboration purposes. Uploading takes longer than I expected even for just a 2 MB document, but it worked well & seamlessly. 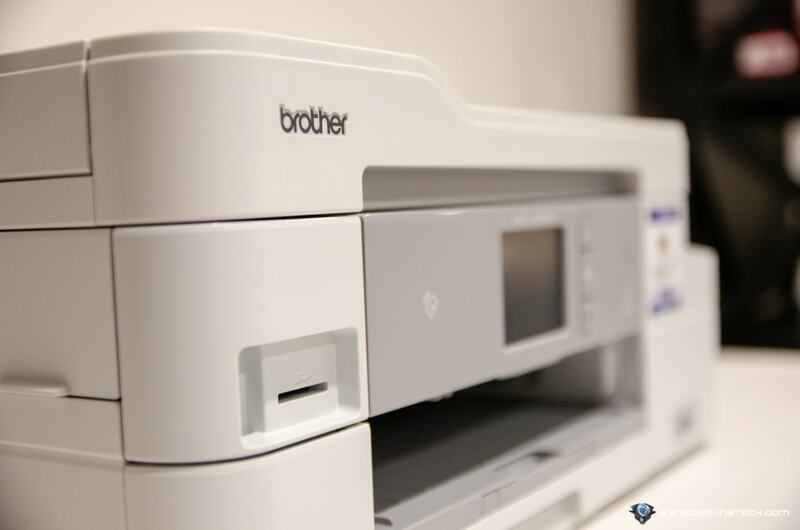 Note that the Brother MFC-J1300DW does not have duplex scanning, i.e you have to scan each side manually one by one and hit that “Next Page” scan button through the LCD touchscreen and press “Finish” when done. 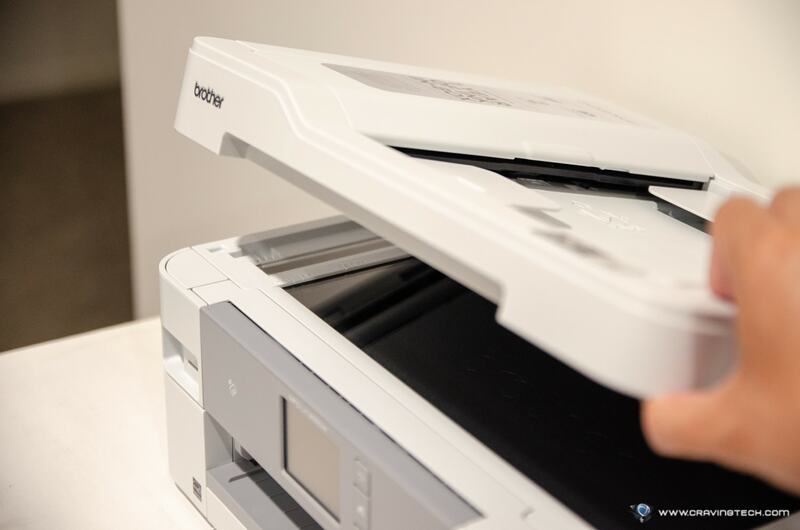 A Duplex scanner would surely add more bulk and cost to the printer, so unless you need to scan hundreds of documents or contracts every day, duplex scanning is not a feature that you’ll miss here. Printing speed and quality is reasonable, not the fastest but for home and small office purposes, it’s more than enough. 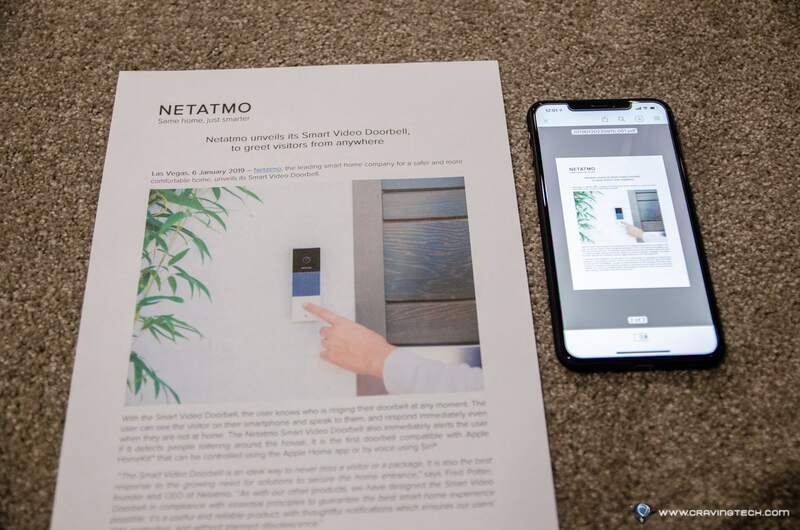 I like how it supports Apple AirPrint so I can open a document on my iPhone and just print straight from the phone without having to install any app or set things up. 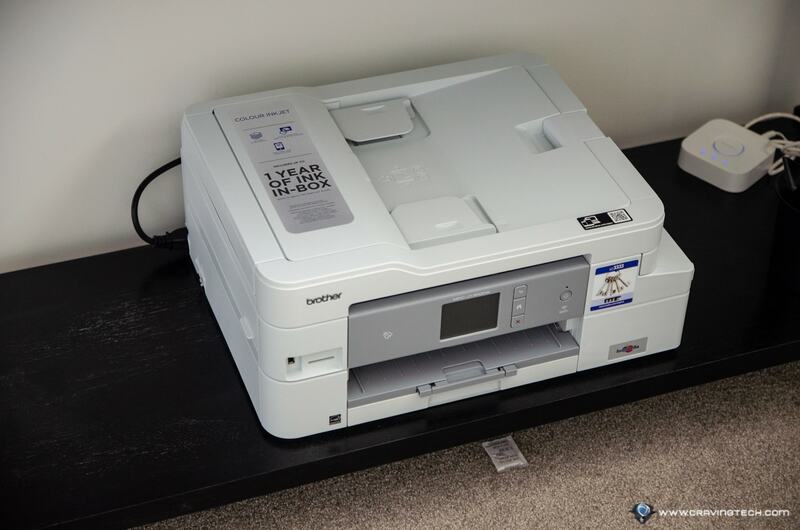 I tried and tested this to print an attachment and iOS could detect the printer straight away. You can also print from your PC wirelessly through Wi-Fi. I don’t like having cables around my house and so far, the printer is running great without having to plug any network cable in. But you do have the wired option if you want to. Now, the printer is marketed as an INKvestment Tanks Inkjet Printer that “combines the efficiency of high volume tanks with the ease of ink cartridges for exceptional savings”. 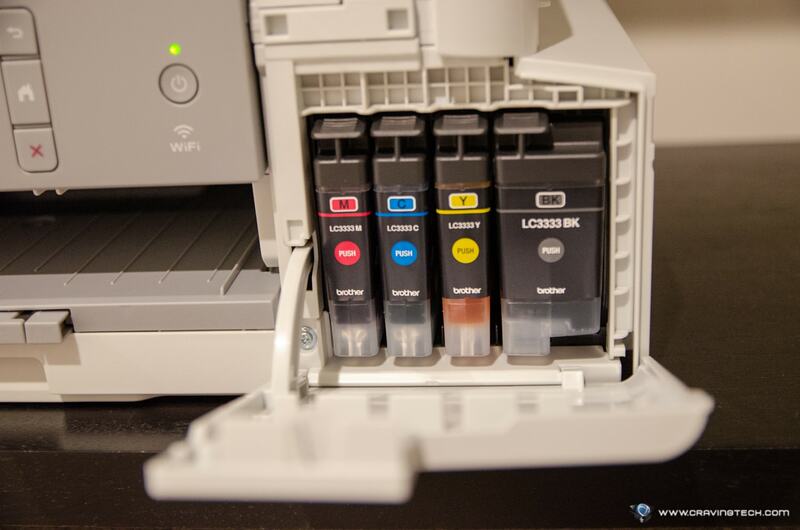 It works by using regular ink cartridges that we are familiar with, but the printer also has internal ink storage tanks (where the machine then transfers the inks from the cartridges to the tanks as you plug them in). While I honestly don’t know much about printing mechanics and the technology behind it, this seems to combine the best of both worlds, according to Brother (i.e using familiar cartridges to refill, but utilising internal tank behind-the-scene for printing efficiency). 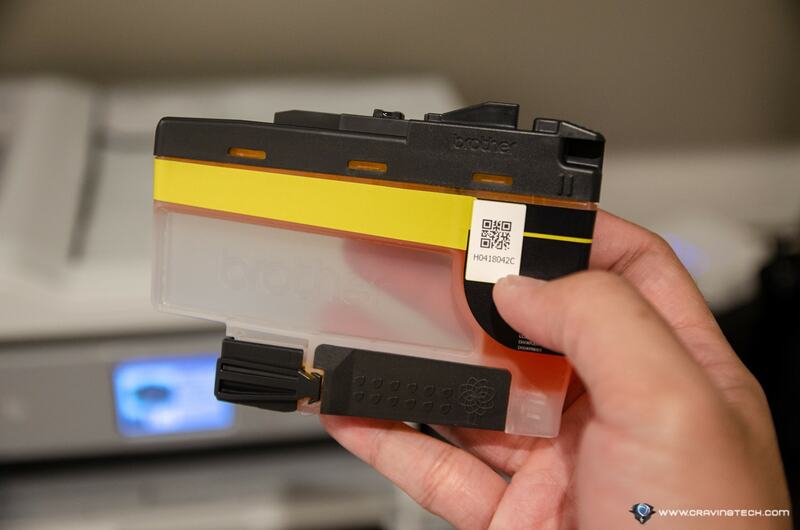 As a result, you’ll get a more efficient ink management and printing, yielding you longer ink usage before you have to buy new cartridges. 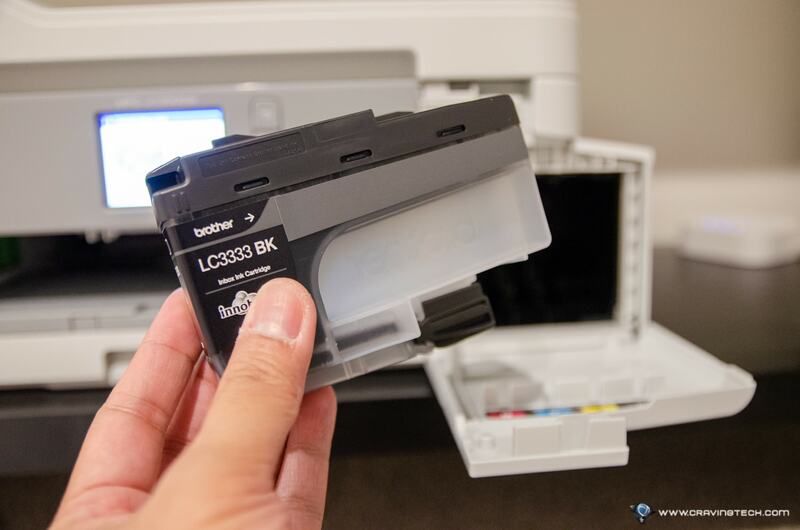 This also allows the printer to calculate and gauge how many more pages you are able to print with the current ink levels (Brother intelligent Page Gauge feature). 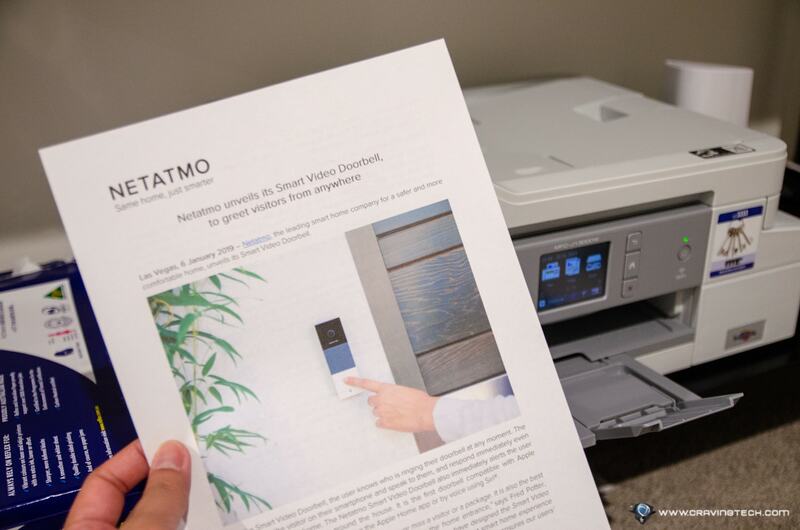 You can view this information directly on the printer’s LCD with just a tap. 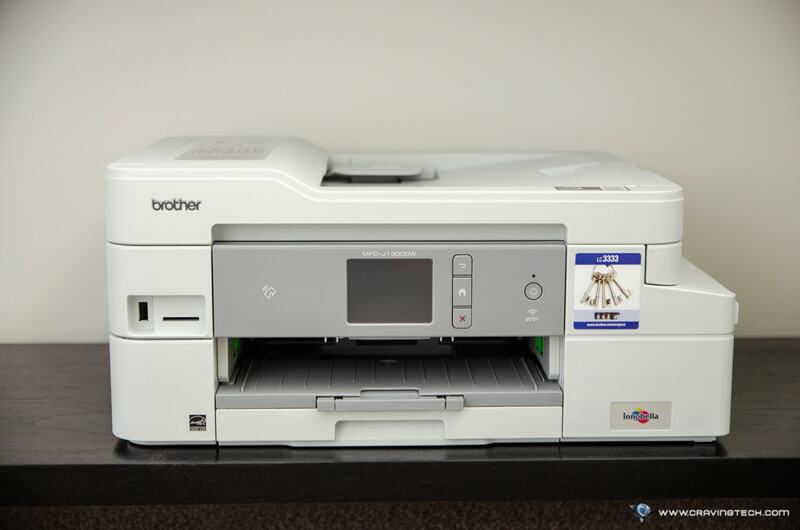 The Brother MFC-J1300DW is a solid and efficient MFC printer that works flawlessly so far. Menus are simple and user friendly (I never needed to check manuals or YouTube how-tos), printing works seamlessly through wireless and AirPrint, and scanning offers you many options to upload and share your documents to. I love how compact the printer is as it only contains the necessary components for a home and small business purpose. It doesn’t have a duplex scanner or a second tray, but everything else is there and you’ll be satisfied with how simple and well they work. 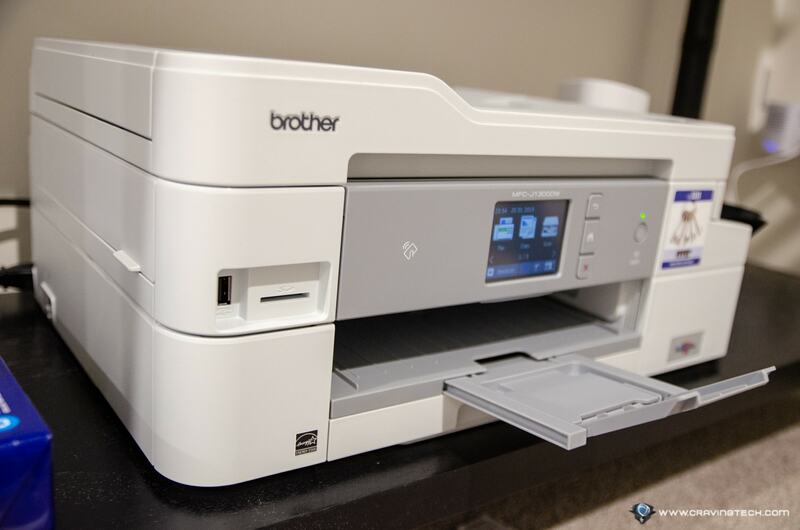 Honestly speaking, this is my first Brother printer (I had an Epson WF-7620 and HP OfficeJet Pro 8740) and the MFC-J1300DW definitely makes a good, first impression. 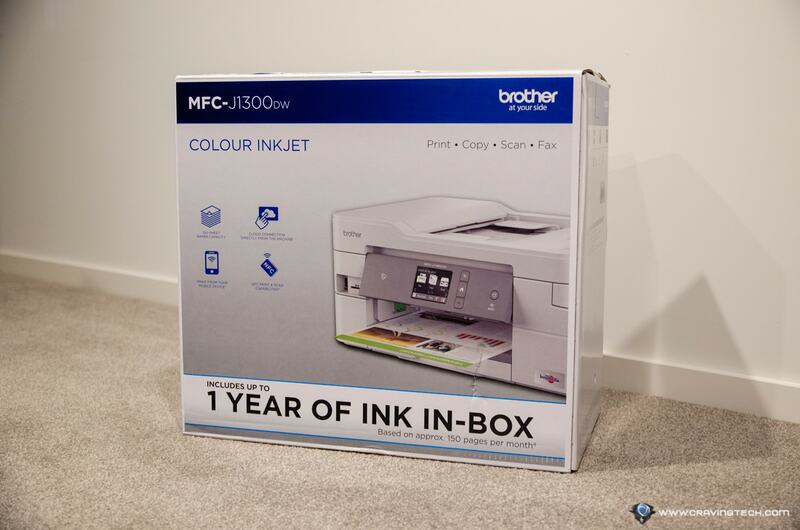 Brother MFC-J1300DW is currently retail at AU$329 and available to be purchased at Officeworks Australia.